If you’ve heard statements such as the above at your organization, you have a risk-tolerance issue. Risk tolerance is defined as the willingness of a worker or a group to take safety risks. This article looks at the factors that influence how much risk is acceptable to individuals or groups. 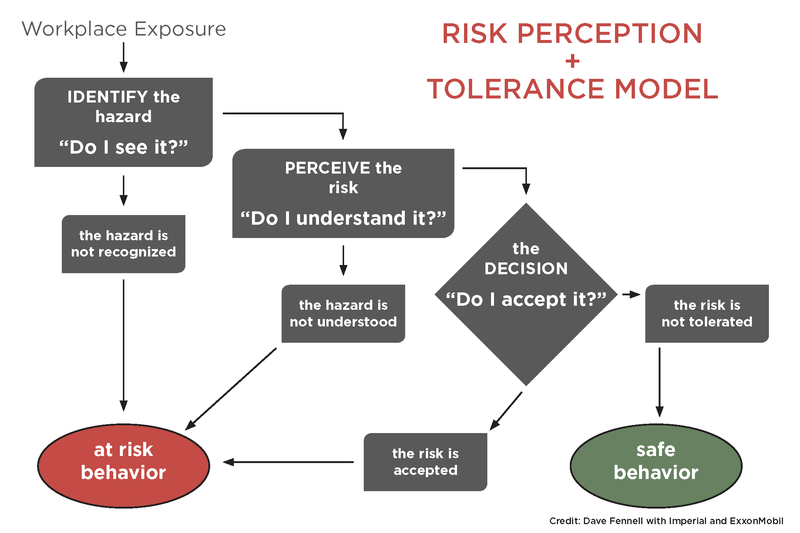 My research into risk tolerance has helped formulate training for management, supervisors and workers, on how to recognize and minimize risk tolerance. 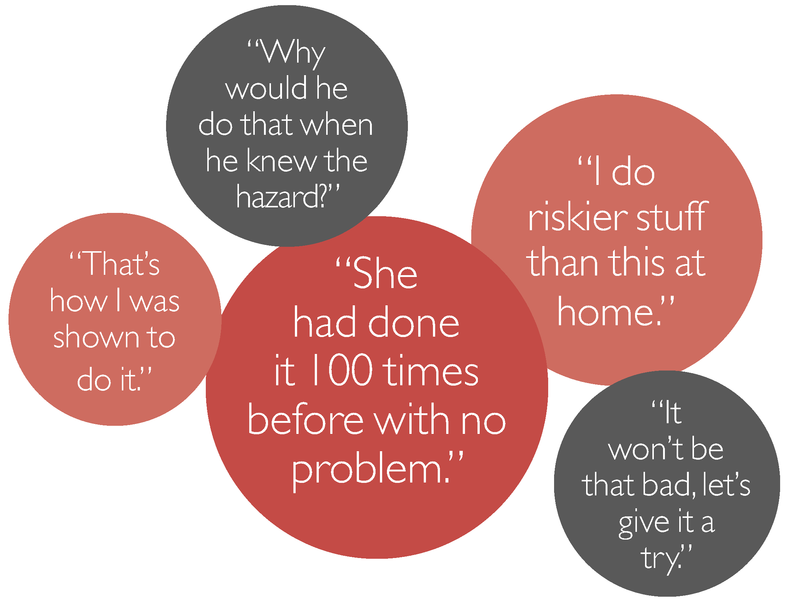 Understanding risk tolerance in workplace culture can be key in improving safety performance. Hazard identification – visual or sensory input that identifies a situation that could lead to risk. Do I see it? Risk perception – processing sensory information to determine exactly how and to what extent those hazards could impact our well being. Do I understand it? Risk tolerance – the cognitive process of deciding to proceed with the task or activity, to change how we do it, or to not do it at all. Do I accept or reject the risk? In general, most organizations have systems in place for hazard identification. These systems include training for workers on how to recognize hazards, a hazard-reporting system to get hazards addressed (i.e., HID forms) and tools for identifying hazards associated with specific tasks (i.e., job safety analysis). Risk perception deals with the ability of workers to understand how a hazard could result in an incident or harm. It is dependent on their background, knowledge and their ability to predict the consequences being exposed to the hazard. They may need additional assistance in this area through a review of incidents and safety alerts, which show how hazards have or could have resulted in an incident. The greatest issue that remains is risk tolerance. Generally, we (individuals, work groups and even entire companies) may have an acceptance of risk that is too high. Processes are needed to help workers with these risk-based decisions. Processes that are available usually rely on the trust that a worker will be able to determine the acceptable level of risk, based on the hazard-recognition training they have received. The solutions to risk tolerance can be found in the processes that help individuals and groups use their hazard-recognition skills to better understand risks. Therefore, they will be better able to make sound decisions on whether to accept the risk, change the approach, or reject the risks associated with the task or activity. The research revealed a multitude of intrinsic and extrinsic factors impacting individual and group decisions. Greater risks are tolerated when there is a belief in one’s physical ability, strength, agility, reaction time and reflexes in preventing an incident. A worker may overestimate their strength and will thus accept more risk when applying force, or may overestimate his or her agility and accept the risk of a poorly prepared working surface. This factor also relates to situations where an experienced worker will rely on his or her years of experience and knowledge of the task as justification for doing the work in a way that may have higher risk. This occurs when a worker has completed a task successfully multiple times and has the skill to complete it successfully without thinking — a state referred to as “unconsciously competent.” Research shows that workers in this state can become unaware of the potential hazards. This kind of autopilot complacency occurs without the worker having to refocus or refresh, thus creating a blind spot to potential hazards. Here, the increased risk is based on the premise that something could go wrong. However, the worker underestimates how serious the consequences might be. A worker may perceive the outcome of a hazard to be minor, possibly resulting in a scratch or bruise, where in reality, the outcome could be significantly more serious. There is an increased acceptance of risk in performing voluntary activities. Once we have made a decision to participate in an activity, either work-based or off the job, a process called “confirmation bias” occurs, and we convince ourselves that it is safe, despite the actual risks. This confirmation bias is exemplified when we have control, or perceive that we have control, over the task. Control gives us the feeling of confidence in our ability and an underestimation of the risk occurs. Personal reality events can stick with an individual for a long time — sometimes a lifetime. They can impact a person’s decisions on performing tasks they associate with an event, and it can result in being intolerant of any risk associated with a similar task. However, a worker who has never had a firsthand experience with a serious consequence will be prepared to accept more risk because they may be skeptical that something serious could actually happen. Newer workers need to hear firsthand accounts of past serious incidents to reduce their unconscious risk acceptance. Personal cost can impact a person’s decision to accept risk and an individual can be influenced by how high the cost of noncompliance will be. If the cost of noncompliance (taking a risk), is going to be high, such as losing a job or receiving a fine or penalty, the person may decide to conduct themselves in a less risky manner. Overconfidence occurs when a worker places excessive or unwarranted trust that the equipment or tool will always perform exactly as designed. When a worker becomes familiar with particular tools and equipment, and has not experienced any failures, he or she can become overly trusting that the equipment or tool will never fail. This can occur with simple equipment such as hand tools, or even complex systems such as computer controls. Risks become more common when the limitations of the personal protective equipment (PPE) are not understood. Higher levels of risk are accepted when workers are overconfident in the safety equipment they use and their belief that if something does go wrong, the PPE will keep them from harm. An example of this would be a perception that an ‘impact resistant’ glove could prevent a finger amputation. This risk tolerance factor stems from the desire for profit, gain and/or recognition. This occurs at an individual level where a person may profit from their own action. This could be finishing sooner by taking shortcuts, or it could be a company trying to profit from taking greater risks. The gain could be extrinsic with direct financial impact, or it could be intrinsic with the gain of pride, status or a general good feeling. People may dangerously increase their risk tolerance when the rewards are perceived to be greater than the risk. The level of risk accepted by our role models and mentors will directly impact the level of risk individuals will accept. Workers will watch their peers, supervisors and mentors to determine how they should behave and proceed. Modeling after a mentor or role model who accepts risk will result in the worker accepting the risk. Determining who the role models are in a workgroup , and what their risk tolerance is, is important. Be able to explain and articulate the factors for front-line workers and supervisors to help them reduce the acceptance of risk. Using last-minute risk assessments (stop and think), performing a job safety analysis, and processes that foster safety communication between peers, help workers identify and address risk-tolerance factors. Management has the responsibility to create and sustain a safety culture where workers are knowledgeable of the risk-tolerance factors, and must be willing to identify and address them. Dave Fennell, Dave Fennell Safety Inc.
Dave Fennell, CRSP, BSc, CET is the risk tolerance guru. He recently retired from his roles as senior safety advisor for Imperial Oil, and senior technical professional for safety for ExxonMobil. 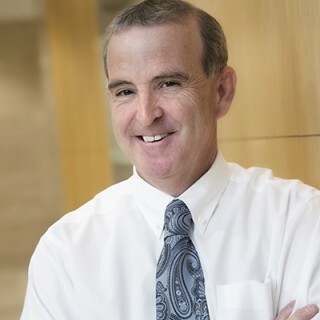 He is an expert and motivator on safety specializing in risk tolerance and safety management. He teaches courses on behavior-based safety and human factors at the University of Alberta. He was named the Canadian Safety Professional of the Year by the Canadian Society of Safety Engineering (CSSE). For more information, go to www.davefennellsafety.com.